3 Quick Tips For Saving On Textbooks! Today’s guest article comes from Claire Kyle. Stocking up for college is both exciting and intimidating. You want to express yourself with pretty cushions, or a games chair, or unusual artwork, and you are starting out your adult life, which must mean you need an ironing board and coffee machine, right? Wrong. Firstly, you do not have to spend a fortune to express yourself: when it comes to impressing your dorm-mates and feeling at home in your dorm-room decor, Target, Ikea and thrift stores made a pretty formidable team, and will not break the bank. Secondly, it is a common mistake to think you will start ironing your own clothes when you get to college – and anyway, you will find that plenty of people have brought an iron with them, should you ever need one in a hurry. You probably don’t even need a second set of bedding, as washing laundry only takes a couple of hours (or you could always wait until you’re back at mom and dad’s). Buying your textbooks requires a similar approach, so don’t feel daunted by the campus bookstore’s price tag on your reading list. Here are some suggestions for saving money on textbooks. According to the Students Public Interest Research Groups (PIRGS), the average student spends $1200 on textbooks a year. With this often unexpected cost sitting alongside heftier expenses such as tuition and rent, it is no wonder that students are getting creative in handling their personal finances at college, building up a positive credit history with low APR cards and taking out loans. However, there are also plenty of ways you can ease the financial burden of reading lists. The first, unfortunately, is to recognize when your college is trying to sell you short. Colleges need to make money too, and selling textbooks at a high price is an easy way for them to do so, as it is usually the most convenient way for students to purchase all their textbooks in one place. New textbooks from campus stores will cost you the full recommended retail price, and even used textbooks do not offer much of a discount. Buying used books online, at AbeBooks.com or at Amazon.com, will allow you to shave hundreds of dollars off your annual book expenditure. Don’t be too worried about finding the specified edition– the newest versions are always the most expensive, and if a professor urgently requires you to have a specific edition then they will say so on the syllabus. Usually the edition specified by your professor is merely for simplicity, so that the page numbers match up when the book is referenced in class – in reality, you will find that plenty of classmates have different versions. If it is a textbook that is only needed for a few weeks then having an older edition should be no problem, and could potentially save you a lot of money. It is also worth popping into thrift stores and checking out the books section from time to time – a surprising amount of political science and literature giants can be found in Goodwill and the like, for just a couple of dollars. One way to get your textbooks for free or at a heavily discounted price is by downloading them onto your laptop, phone, tablet or Kindle. For subjects such as philosophy, political science or literature, where you are often assigned historical and classic texts, this can save you a great deal of money, as many of the books that are old enough to be out of copyright are available for free – just search in the App Store for free books to get you started. 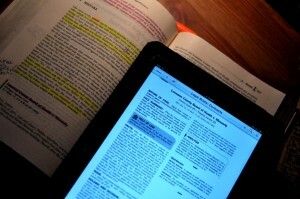 A Kindle app is available for most smartphones, and Amazon usually charges under a dollar for e-books out of copyright. Project Gutenberg is leading the way in making more out-of-copyright books free. Two words of warning when it comes to e-books: firstly, some professors do not like electronic devices being used in their classroom, and prefer for students to have hard copies; secondly, if you are someone who likes to annotate or highlight what you are reading, you will find this option a little frustrating! There are ways to highlight and write notes over electronic works, but for some of you this will just not be the same. Still, for fairly short reading assignments or for recommended extra reading, especially when it comes to literature, being aware of the free options is very useful. Making friends with people who have already taken the classes you need is always a good idea, as they might be willing to lend their books to you, or sell them on cheaply. If you don’t know anybody in the class, then perhaps there is a book exchange on campus that you could take advantage of – your students union or advisor will able to help you with this. If there isn’t, then put up a flyer on the department noticeboard stating your interest in buying used textbooks for your classes – who knows, maybe you could set up a book exchange on your campus. 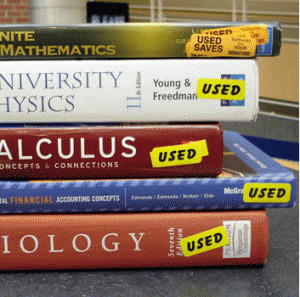 Many people assume that the few copies of required textbooks in the campus library are already taken out, but often they are not. It is worth checking, and if you are organized enough to get them out a term in advance then you could save yourself a lot of money this way. Just be sure to keep an eye on their due dates, as library fines are an expense no-one wants. Finally, don’t forget to ask family members and older friends if they have any of the books you need (again, this has a higher chance of success in subjects such as political science, history and literature). Depending upon your major, you will find yourself using one strategy more than others; you will also discover the vast array of websites where you can download your readings for free. What’s important is to talk to your fellow classmates and your professors –more professors are putting their required readings up online these days, too. If enough people seek alternatives to their campus bookstores, colleges will be forced to make textbooks more affordable for their students. It seems counter intuitive, at first glance, that students are still using paper textbooks. With iPads, Kindles and other e-readers as common as pizza on college campuses, it’s not a stretch to envision rows of unsold backpacks lingering in bookstores as students add just one more aspect of their lives to the electronic age of the 21st Century. However, that’s far from the case now – though there’s reason to believe that change might just be around the corner where digital textbooks are concerned. By not having to pay printing costs, those sizable savings can be passed on the consumer, in this case the student, right? Well, the answer that is most correct is – it depends. While some of the more sought after textbooks can be had digitally at savings of up to eighty percent compared to bound copies, studies that include other, less popular titles suggest that savings are negligible. Those who’ve finished their schooling, memories of lugging around heavy books around campus, probably have a hard time understanding why anyone would choose a traditional book over an e-book, but there are actually good reasons why adoption has been slow up to this point. If you’re just entering college, the bottom line is that the future looks bright for your ability to access cheap textbooks. To support this silver lining, though, you need to understand a few key factors in why those costs aren’t already lower, starting with demand. For many university students, the previous twelve years of their academic life was spent holding, carrying and reading traditional books. Hopefully by the time they began to matriculate into colleges, those in the pipeline had figured out how to really extract a lot of knowledge from a textbook. While their games had mostly moved to the electronics realm, the students didn’t have digital textbooks as part of any tradition. Some of these people became early adopters of digital texts, but most never switched, even for a try. Of those thirty-nine percent who did, roughly one third returned to their familiar, bound texts. Other reasons for students not trying, or trying and then rejecting, e-texts has to do with the still lingering problem of overall computer skills. Uncomfortable with the interactive features of digital texts, some students made a conscious decision to learn their course skills, but not updated technology skills. In the end, these realities combined to produce low consumer demand for many e-book titles and publishers priced the products accordingly higher as a result. You don’t have to look too far back to find graduates who know the pace of acceleration college has experienced. Now, it’s likely that a graduate received an online bachelor degree, albeit using bound textbooks. Colleges have gone digital in ways unthinkable only a decade ago and Ivy League schools are well known to offer completely-online courses. But while students adapt to digital classrooms, there is still a bit of a lag in adapting to digital textbooks. A leading reason many students still prefer paper to digital materials has to do with the lack of value added features on even discounted e-books. Students simply aren’t interested in electronic copies of a bound text. However, when a publisher adds value to a text, students respond with their wallets, saving themselves money and providing the demand publishers like to see as they invest more in products that don’t have printing and paper material costs to drive up prices. Publishers are responding to student quality expectations, and they’re being rewarded by higher sales numbers. The cycle of demand driving down price is already showing up, and for that freshman, this means book costs are almost certainly bound to fall dramatically while he or she is still in college. Today’s guest article was provided by Joseph Baker. The following is a guest article submitted by Joseph Baker. Buying textbooks has always been one of the least enjoyable parts of attending college: from finding the books to paying for them, it can be frighteningly expensive. And although the introduction of e-books has made it easier for students to find and use books for school, many students and their families still experience “sticker shock” when they see the prices of the texts they need at the beginning of every semester. Online stores now provide alternatives to students who want to avoid paying list price for textbooks and the ease of buying online is gaining popularity. Buying and selling used textbooks online is a reliable way to save money, to compare prices, and to sell books back once the semester ends. The world’s largest online retailer started out as an online bookstore, and Amazon still offers students one of the best methods to buy and sell paper textbooks and e-textbooks. In addition to selling new and used books, their Amazon Student program allows members to receive free two-day shipping on everything Amazon sells, as well as discounts and other deals. Their Amazon’s comprehensive selection makes it an ideal choice for students attending online university classes or enrolling in distance learning programs. Established in 1999 as a service for students to order books online and pick them up at campus bookstores, eCampus have transformed into a major college e-retailer. Students can also rent books from eCampus—student can just type in the ISBN’s of the books they want to rent, and eCampus ships them for free. When students finish the semester, they can ship the books back, free of charge. For graduate students who need rare or out of print books for research, AbeBooks is an essential resource. Abe Books maintains a database of sellers from all over the world, which offers buyers a selection of translated and alternate editions that may not be available in the States. For students who want to sell their textbooks, Abe Books offers two easy programs that allows sellers to ship their books free of charge. eBay bought Half.com in 2000, and the company expanded their offerings to selling and renting textbooks. Students can search for books using Half.com’s Buying Wizard, which allows students to search Half.com’s website for books and shipping rates that match their budgets. Most colleges and universities have message board system; and buying and selling books locally is a good way to save time and money, and to help out fellow students on campus. College students can use their school’s online message boards to find, buy and sell books to their fellow students. As always, should use caution, since person-to-person exchanges don’t offer the security of other online vendors. But creating a campus-based group of students who can buy and sell their books to each other can make the process faster, cheaper and easier. The process of buying textbooks will probably never be one of the best parts of the college experience, but with a variety of online options, the textbook buying and selling process can go more smoothly than it has in the past. Students and their families should shop around for the best deals they can find—and spending a little extra time online can save hundreds of dollars a semester. With the price of a college education continuing to soar, students look for ways to save on costly items like textbooks. Some student report borrowing, sharing and simply going without as way save on books which often cost more than $1,000 a year. But what does it mean to your success as a student if you don’t have access to the books you need? Another way to cut costs on textbooks is to rent instead of buy. Textbook rental allows students to save up to 80% on the cost of textbooks without sacrificing any of their own success to do so. Think about all of those General Education classes you take to satisfy a requirement but may not relate to your field of choice. I once had to take a prerequisite class and the book for the course cost $160! Because it was a pre-req, I knew I didn’t want to spend that much money on the book. At BookRenter, however, I was able to rent the book for the entire semester for only $70. That’s $90 I could use on tuition, food or, even better, a ticket to a Giants playoff game! Since BookRenter launched the first textbook rental site in 2006, the market has taken off at an astronomical pace. But textbooks aren’t the only things you can rent. Rental allows for tremendous flexibility, especially for students whose lives may fluctuate frequently. You can try new things without taking a huge financial risk and then you can spend the money you would have spent purchasing the item to buy something else. Consider this, if you rented just two of the textbooks you need each semester, you would save yourself a couple hundred dollars – the cost of a typical student season ticket for football and basketball. What else can you rent? So what other kinds of things can you rent besides textbooks? ZipCar, which has been around for almost 10 years, allows people to rent cars for a couple hours or a few days. 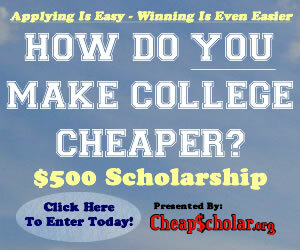 It even has locations on over 100 college campuses around the country! Going out of town and need somewhere to stay? Instead of forking over an arm and a leg on a hotel room, check out AirBnb, where you can rent rooms, apartments or homes directly from real people. Now if you’re like me and you have a fancy event to attend but don’t necessarily want to purchase a whole new outfit, what better way to avoid that expensive cost than renting your dress, jewelry and purse? You can rent jewelry from Adorn, designer dresses and gowns from Rent the Runway and One Night Affair and your purses from Avelle (which is also known as Bag Borrow or Steal). As college students, there are certain dorms items we may want to have, but not want to own. Ever heard of a Microfridge? It’s a microwave, a refrigerator and a freezer all in one that you can rent for only $180 for the whole year. 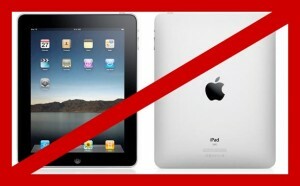 And if you are in need of a technology gadget, computer, or tablet, head on over to Rentacomputer. Need a movie for a chill night in? Redbox allows you to rent DVDs for one night for only $1. Their kiosks are located in grocery stores, drug stores and McDonald’s among other places, so you’re bound to find something you like! 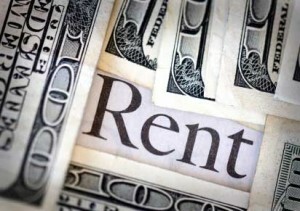 Renting is definitely a viable option for all sorts of options. When you are in college, the last things you want to worry about are expenses and if you rent, you can help take that stress away. Put more money in your pocket by renting everything from textbooks to cars. Do I need to own this, or do I just need to be able to use it for awhile? If it’s a textbook, am I really likely to use it again, or is the information I might want also available on the Internet? If I buy an item, am I going to have to move it frequently over the next 5-7 years? How do I feel about moving this item around a lot? Rachel Freeman is an aspiring social media guru and video editor who likes the San Francisco Giants, traveling and her dog, Mollie. She graduated with a B.A. in Communication in 2010 and is pursuing her M.A. in Broadcast and Electronic Communication Arts. She is currently an intern at BookRenter.com. When you are looking at college expenses, the little things (like textbooks) seem to usually take a backseat to the larger fees (like tuition, room and board). Textbooks are small in size and comparably inexpensive when you think about them individually. However, the amount of money a student will invest in their books over the course of their academic career should not be taken lightly. Because of this, I have come up with the following tips to help guide students down the path to finding cheaper textbooks. Buy Online: Brick and mortar bookstores carry a larger overhead expense than their online counterparts, so it is only natural that their costs would be higher. Now that the Higher Education Opportunity Act requires colleges and universities to put ISBN numbers online with their course listings, it is easier for students to purchase books via more competitive methods (such as online). However, if you are purchasing a book online make sure you allow enough time for the book to be shipped to you before your class starts and always make sure you are getting the correct edition (these are the two most common pitfalls associated with online textbook shopping). Buy Used: I could see reasons why you would buy a new car over a used car but do you really need to have a new textbook verses a used one? There really is no reason why you should ever purchase a new textbook if a cheaper but equally effective used book is available. Now if the used book looks like a dog ate through half of it and the remaining half smells like a garbage dump, then I would probably splurge for the new book… otherwise… always go used. Rent: Renting textbooks has increased in popularity in the past few years. It is a nice way to gain access to crazy expensive books but only pay for the time that you are going to use it. Keeping with my car analogy above, this could probably be compared to leasing. Network With Friends: You know that there are probably a good portion of people on campus that have already had that bio-molecular chemistry course last semester and are looking to unload the book for cheap. Use your network of friends to track those people down. Facebook and Twitter should hopefully make quick work of this task. The Good Old Library: Amazingly, the campus and community library are keeping more and more textbooks on the shelves and for the cost of a library card (which is usually free) you could check your book out for the semester. The downside is that you had better be first in line or on the waiting list because other poor college students are probably going to have the same idea. I hope you found these tips helpful as you start your quest for cheap textbooks. If you have any other ideas that could be useful for your fellow college students, please don’t hesitate to share them below in the comment section. Over the course of the next week or so, I am going to be introducing some different aspects of the new Higher Education Opportunity Act. More importantly, I am going to focus on the parts of the bill that impact you (and your checkbook) as it relates to the financial aspect of your college experience. For those that don’t know, the Higher Education Act was initially put into law back in 1965. This expansive legislation tops out at 431 pages and provides guidelines for colleges and universities that must be followed if they are to maintain their eligibility for Title IV funding (Federal Works Study, Pell Grants, Direct Loans, SEOG, etc…). In the past year or so this legislation was completely revamped and all the new laws went into effect on July 1st. In most cases, this legislation is focused on benefiting the students and their families. In other aspects, it just ends up being a bunch of bureaucratic red tape that gets in the way of anybody getting anything done. All in all though, it impacts the world of higher education and ultimately the students (again.. mostly for the better). Today I am going to focus on how HEOA is impacting Textbooks (and possibly what you will be spending on them). ISBN numbers for all books associated with the class: Now that ISBN numbers are available in advance, a student has the opportunity to get the book (the correct one) for a discount either through an online resource or potentially from one of their classmates that recently took the course. Suggested Retail Price for textbooks AND supplemental materials: This is important because you can have two sections (taught by two different professors) of an accounting course available and immediately see that one is requiring $150 in books and supplies and the other one is only needing $75. Immediately you can achieve a $75 savings just by picking one section (professor) over the other. Very few colleges and universities seem to manage their own campus bookstores anymore. Most of these sites are outsourced to companies like Barnes and Noble and Follett. Since they are outsourced, the only revenue the schools get is usually some rental income for space they lease to the company and a percentage of the gross sales revenue (which is usually tiered.. meaning the more the bookstore makes, the more the college gets). With the implementation of HEOA and the new textbook provision, it seems to be very natural that campus bookstore sales will probably be taking a hit and therefore so won’t the school itself. Ultimately, I think this legislation is going to be a mechanism to help bring textbook pricing under control. Anyone that has purchased textbooks in the past couple of years can attest to the inflated cost associated with these specialized books. I remember when I was in college paying close to a $100 bucks for a book once. I felt justified in the expense because the book was a hardback. Now I walk through the bookstore and I see the same prices for paperback… times have certainly changed. Anyway, I hope you find some benefit from this information and you take advantage of the changes in HEOA in regard to textbook pricing. I thought with the invention of Amazon’s Kindle and the new Apple Ipad, eBooks would be dominating the market and students would be jumping all over increased savings that these technological tools would provide verses the archaic and somewhat expensive option of paper textbooks. However, the National Association of College Stores (NACS), has recently proven my thought process wrong. So.. I can see why students (and probably the public in general) are still leaning to printed paper books verses electronic. However, given the results of the survey, it does show that 26% of students do prefer eBooks. This percentage isn’t anything to sneeze at and my guess is that it will continue to increase as technology becomes more mainstream in the classrooms across the nation. For now though, if you are one of the 74% that still prefer to have traditional paper textbooks, please don’t hesitate to check out CheapScholar’s textbook comparison shopping tool.